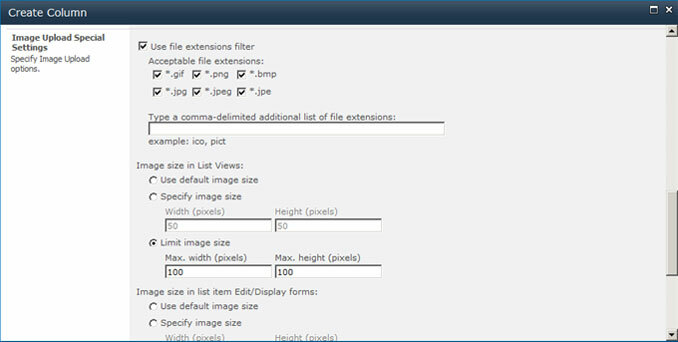 COVRI Image Upload column facilitates uploading images as list item. 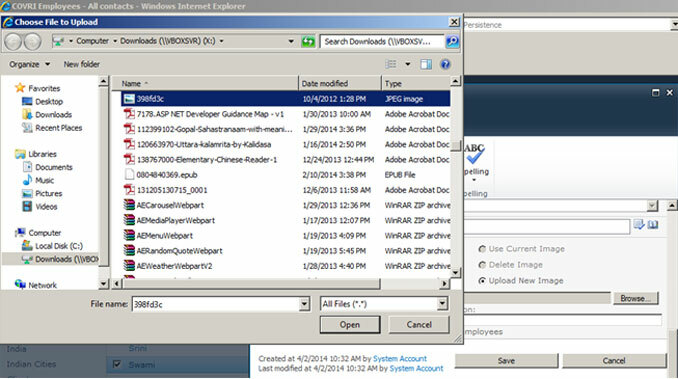 The image file to be uploaded is selected through browsing dialog and displayed in the list view. This product contains provision to upload, edit and delete the picture/ image files. Facility to setup filtering using predefined or custom extensions is also provided. By default in SharePoint a picture or image can be added to a list column in the form of URL of the image already existing on the site. One cannot browse to the location of the image/picture using upload dialog and select the picture in order to upload it as a list item. COVRI Image Upload column makes this possible. User can browse to the location of the image and upload it to the list column. The uploaded image can be replaced and if required can be deleted. 2. In the additional column settings give a suitable description for the column (if necessary). 3. 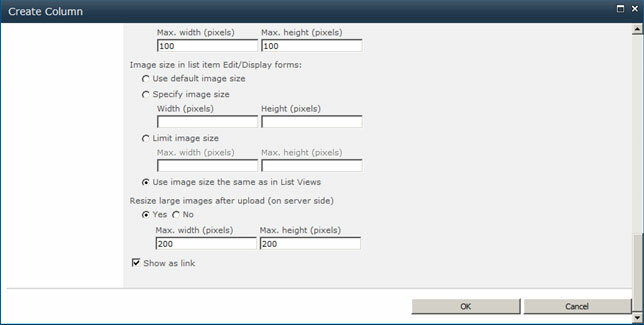 In the image upload special settings section configure the desired settings (Figure 3.0, Figure 3.1) and click ok to create the column. 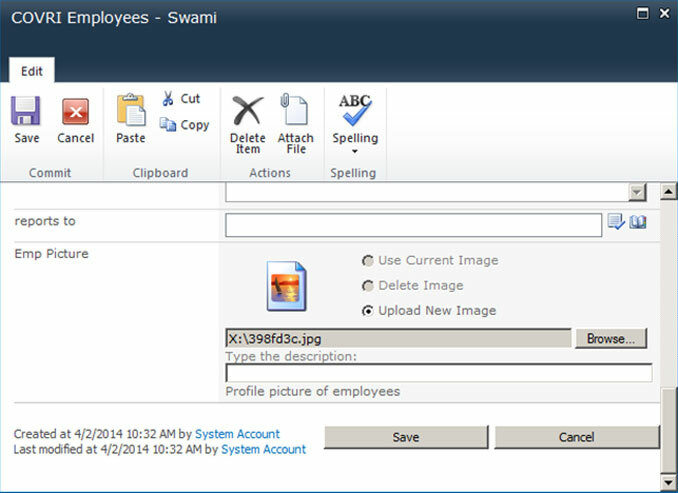 Covri Image Upload Column Version 1.0 released on 14th April 2014.